First Time Making This. Came out great. Only some toasting and cutting required. Slice French Bread diagonally into slices with a sharp knife. Spread butter on one side. Toast in oven until butter turn golden brown. Meanwhile, prepare the rest of the ingredients. Wash Figs and Arugula. 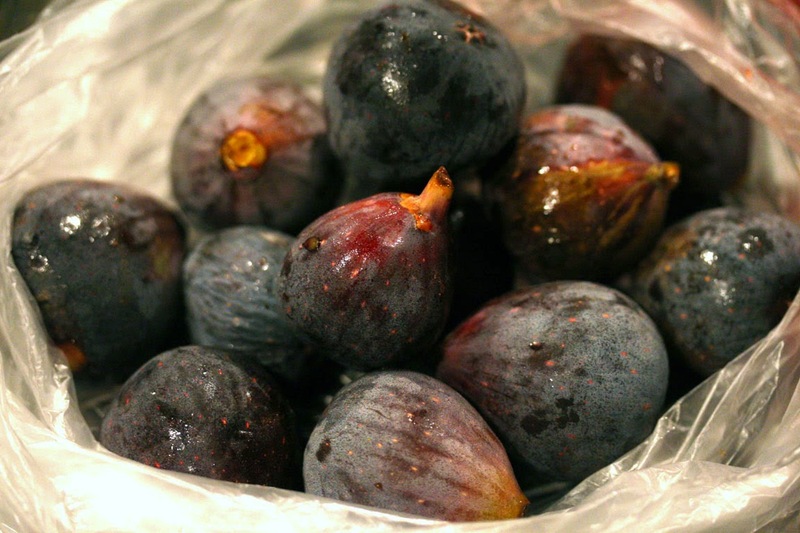 Cut Figs into halves (or slices, however you want them). When Bread is ready, take it out of the oven. Place it on a plate with butter spread facing down. Spread Jam on Bread (option). Place slice of Prosciutto on the Bread (I would say 1 layer of Prosciutto covering the Bread is plenty. This thing could get really salty) Place Arugula and Fig Bread. Place Goat Cheese on both ends of the Bread, under the Fig. Can add diced Olives if desired. 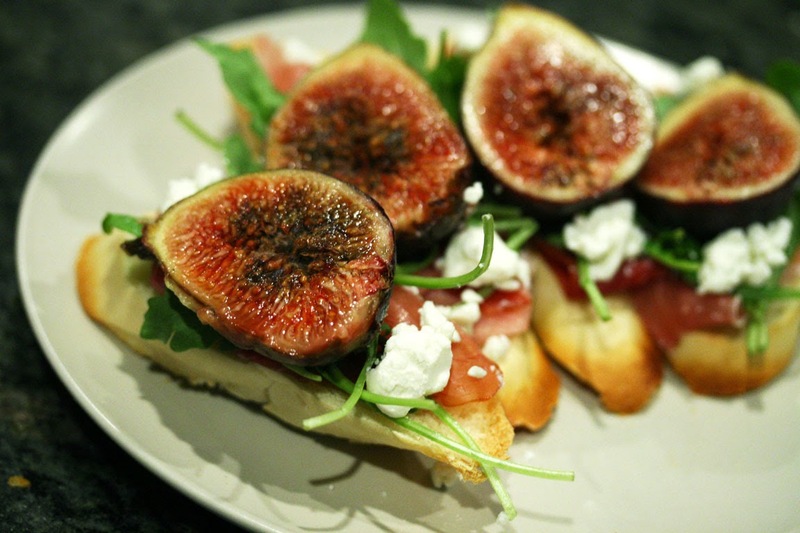 Easy fancy Fig Bruschetta is now ready to serve.